A man returns home to Cambodia whose people, unseen by the outside world and unknown to him, are dying in vast numbers in one of history’s bloodiest revolutions. Back in France his disappearance in 1977 – during the near four-year period of catastrophe that survivors call “the time when the clouds fell from the sky” – marks the start of an unceasing search for answers by his family. Decades later those efforts would bring them face-to-face with Cambodia’s first war criminal. The disappearance in 1977 of 30-year-old diplomat Ouk Ket into the wasteland of Pol Pot’s Cambodia, a country whose borders were closed, sparked a decades-long quest by his wife Martine and their daughter Neary to learn his fate. 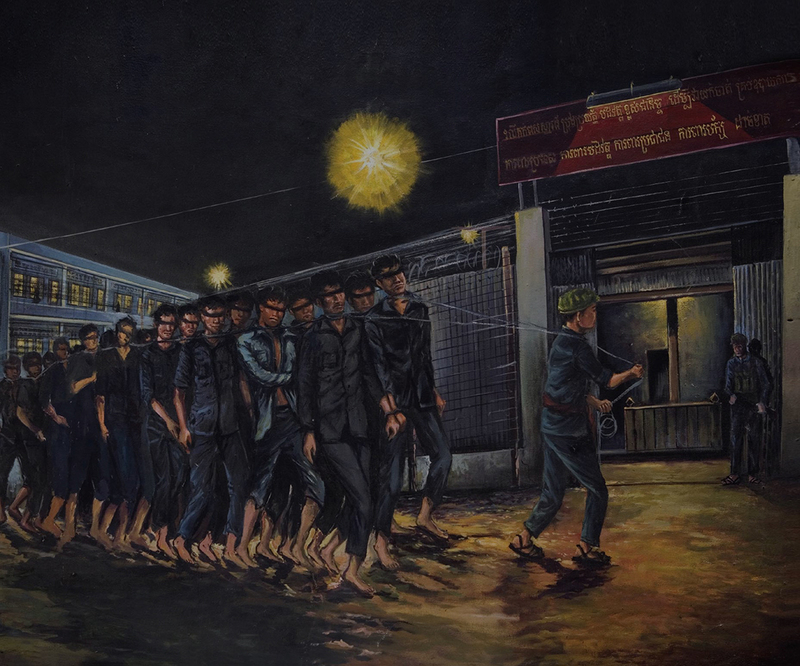 It culminated three decades later with their testimony at the war crimes trial of Khmer Rouge security chief Comrade Duch, who headed the notorious S-21 prison in Phnom Penh where thousands of so-called “enemies of the revolution” were tortured prior to their execution. In this book, spanning five decades and five lives, journalist Robert Carmichael takes the reader on a compelling journey into the causes and consequences of the Khmer Rouge’s 1975-79 rule during which two million people died, one in every four Cambodians. In describing one family’s experience, When Clouds Fell from the Sky illuminates not only the tragedy of a nation but the fundamental limitations of international justice. Follow Robert Carmichael on Facebook or Twitter for the latest developments and news. Copyright © 2019 When Clouds Fell from the Sky. All Rights Reserved. The Arcade Basic Theme by bavotasan.com.